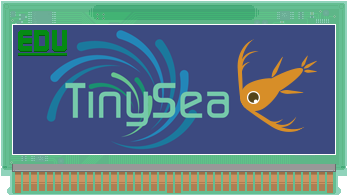 TinySea is an aquaculture simulation game I worked on as part of my co-op at the Northeastern University Game Studio with two other students and the scientists at Northeastern’s Marine Science Center in Nahant, MA. Our goal was to create a simulation game promoting biodiversity as a guard against temperature fluctuations and illustrating ecosystem balance. 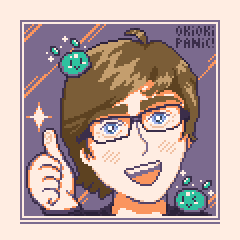 I contributed to the game design and balancing, created all of the art and animations and designed the user interface. 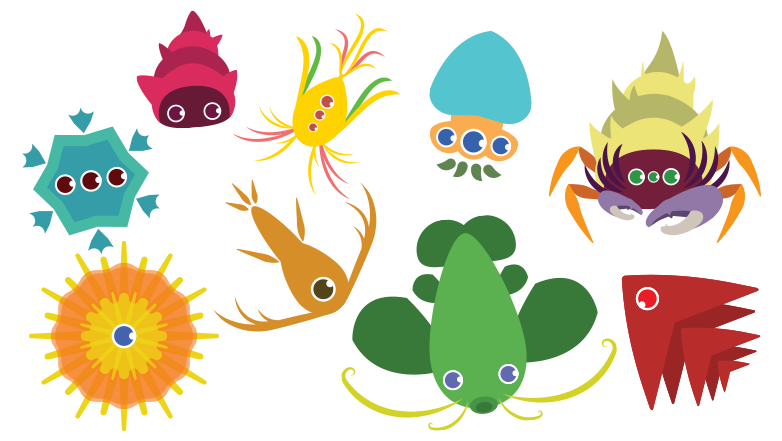 There are 9 different types of creatures, each with common, tropical, and arctic variations and differing stats explaining their livable range of temperatures, frequency of reproduction, and feeding requirements. Higher-tiered creatures require lower ones to eat but are worth a lot more money. Specialists thrive in the right conditions but are more risky in the long term. The game is played in turns with the next turn’s possible temperatures shown with dots on the temperature gauge that show their probabilities. 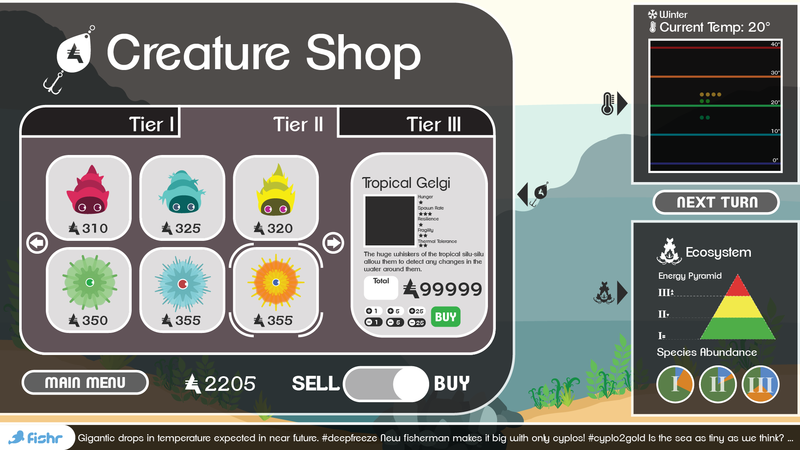 Players interact with the game primarily through the store interface which lets them buy and sell creatures. Selling will cause giant fishing lures to come down and grab the individual creatures and there are also little animations for breeding, starving, freezing, boiling, and being eaten. TinySea is still being worked on at Northeastern. When I left, we had a working prototype that would benefit from some more refinement but was a solid execution of our goals. I’m excited to see the finished product!